John Kangas up in Idaho would be a good addition to the USHGRS list of pilots. After a discussion with Joe Faust, I've asked the US Hawks Board to approve a forum to collect the individual pilot topics that Joe has been posting to the history section. These can link to each pilot's USHGRS page (as Joe has recently been doing). They can also provide an easier way for pilots to make information available to the USHGRS team. Update: The U.S. Hawks Board passed the motion on January 24th, 2019. RE: HOW MANY HG INSTRUCTORS IN THE USA??? With the last revision USHPA did, I dont know how anyone can become in instructor. Damn... hard to imagine the logic of putting up MORE entry barriers like this in a sport that is struggling this much already. 1) Jack Axaopoulos silenced Scott Wise when Scott was building the HGAA as its Chairman. The HGAA was intended to be an alternative to USHPA, but Jack killed it. 2) Jack Axaopoulos bans all mention of either the US Hawks or the Torrey Hawks. Both organizations have a long history of working to promote hang gliding. 3) Jack Axaopoulos banned the only USHPA Regional Director working to get fair representation for hang gliding at Torrey Pines. 4) Jack Axaopoulos banned Joe Faust. Joe Faust has been promoting hang gliding long before Jack even knew how to spell it. 5) Jack Axaopoulos bans all mention of USHGRS. 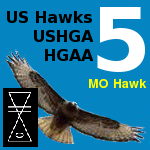 USHGRS is an approach to solve the rating stranglehold of USHPA, but Jack won't even allow that acronym to be posted on hanggliding.org. Jack Axaopoulos wrote: Damn... hard to imagine the logic of putting up MORE entry barriers like this in a sport that is struggling this much already. USHGRS continues to add new pilots!!! Cloud Hopper wrote: Is USHPA membership still a requirement at the majority of hang glider flying sites in the USA? In my state, the answer is "no". the majority of flying sites in the US require that pilots hold some specific USHPA rating to be allowed to fly. Davis wrote: Although the Florida flight parks are not USHPA insured, I do believe that they require USHPA membership. Swift wrote: I would be willing to pay them an equal fee as USHPA and fly with my USHGRS rating. USHPA wrote: Do pilots need to be licensed to fly hang gliders? Not really, but a program analogous to FAA licensing exists and is administered by the USHPA (U.S. Hang Gliding & Paragliding Association). This program consists of a specific set of flying skills corresponding to a series of pilot proficiency ratings (Beginner through Master) each of which carries a set of recommended operating limitations. Beginner rated pilots, for instance, should only fly from hills under 100 ft in height in mild winds and under the guidance of an instructor. While these ratings don’t carry the force of law in quite the same way as FAA pilot’s licenses do, the majority of flying sites in the US require that pilots hold some specific USHPA rating to be allowed to fly. "... the force of law in quite the same way ..." ? How about "... the force of law in no way at all!!" ? 1. USHGRS is not an "opt-in" system. However, a pilot may feed information to USHGRS for enhancing a USHGRS file on the HG Pilot; instructors, observers, etc. may feed USHGRS information about a HG pilot who has used US airspace for hang gliding. Feeding information does not guarantee changes or rating. Ratings are not for sale. No fees are collected for ratings. 2. USHGRS is not an "opt-out" system. 3. USHGRS does not do mass emailings to those pilots rated by the agency USHGRS. 4. Ratings are the result of USHGRS rating efforts. The ratings are for life. USHGRS is solely responsible for a stated rating. USHGRS ratings are not an archive of some other agency's dealings. 6. Having a rating from some other rating system does not guarantee USHGRS will rate the pilot at or below or above the rating of some other rating agency. 7. USHGRS ratings are based on a file of information obtained from a multitude of sources; any source does not rule; USHGRS makes a fresh determination over a HG pilot's file to reach a USHGRS rating for the HG pilot. 8. Ratings are not for sale. No fees are collected for ratings. 9. A pilot rated by USHGRS need not have been rated by any other person or entity or agency. Some USHGRS rated RHG pilots have no rating from any other person or agency. A rating by USHGRS thus might be the first and maybe only rating applied over a RHG pilot. 10. An RHG pilot may have his or her own self-rating or/and be rated by other agencies. USHGRS is just one independent rating agency. The public is also free to rate HG pilots via notes in newspapers, magazines, books, etc. ; such public rating of pilots is an ever blossoming activity. Property owners may also rate pilots according to the property-owners' criteria. Apparently you have had some mistaken conceptions about USHGRS. As always, I presented clarifications and present opportunity for any further clarifications, as needed. Rash holding to mistaken conceptions may be reversed by study, discussion, and fine-tuned clarifying back-and-forth talking. Closing the door to open dialogue does not help to reach clarity. Rash erroneous conclusions are fodder for confusion. You are invited to open the rashly closed topic in your forum and rather continue a fair discussion of the USHGRS rating system. Letting some posters' misconceptions move you to stop the sharing process is sad; consider honoring discourse itself. Else, this present forum may be the place where you may place notes, questions, challenges, etc. Welcome.